Packaging Substrate / Materials: Paper, sustainable (recyclable) packaging. This project is a concept to US manufacturers of Natto. Natto (fermented soy beans) have been a staple in Japanese cuisine for several hundreds years. The conundrum with contemporary packaging is the contradiction between the styrofoam packaging and the sustainable and healthy Natto. 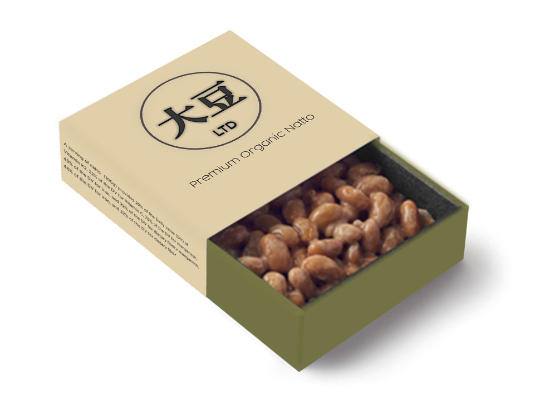 This package opts out of the non biodegradable packaging that is typical to Natto packaging and creates a usable and Eco responsible design.